McCain, the frozen food brand, is creating a restaurant pop-up dedicated to roasts. 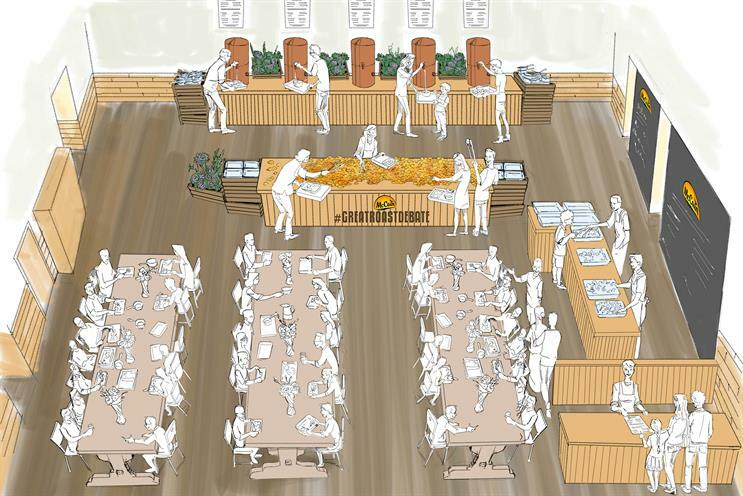 The "Roastaurant" is designed to celebrate the diversity of the roast dinner and people will be able to choose from a pick and mix style menu. There will be a choice of more than 100,000 combinations, and people will be able to enjoy a roast dinner experience during the day. The pop-up at the Old Truman Brewery will feature a "gravy microbrewery" and a six-metres squared roast potatoes platter. In the evening, people can visit these to fill their bowls with potatoes and choose from a variety of gravy flavours such as chocolate and jerk. The event runs from 8 to 10 December.